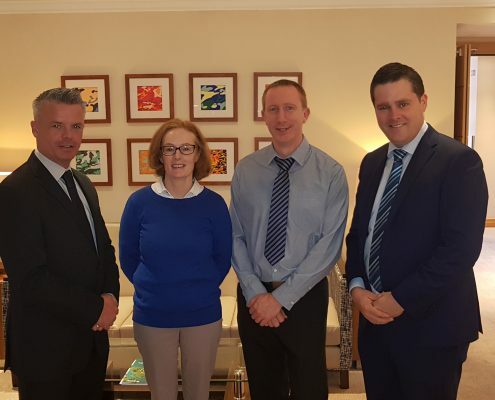 The Irish Bioenergy Association (IrBEA) is delighted to announce that Seán Finan has been appointed as the new Chief Executive Officer of the Association. Seán Finan is a Chartered Engineer with a Bachelor of Civil Engineering B.E. (Hons) Degree from National University of Ireland, Galway. He also holds a Certificate in Agriculture and farms part time. He brings a broad range of experience and knowledge to IrBEA having various positions and roles within many community, voluntary, representative and statutory organisations at a local, national and European level over the years. 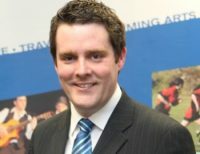 Prior to joining IrBEA, he has over 12 years engineering and management experience with John Sisk & Son (Holding) Ltd and took a two-year secondment from Sisk between 2015 and 2017 to complete a successful term as the 35th National President of Macra na Feirme – the young farmers’ representative organisation. Finan said “I relish the challenge and opportunity which leading IrBEA presents. I look forward to working with the board, executive committee, membership and executive staff in taking the organisation through its next phase of growth and development. 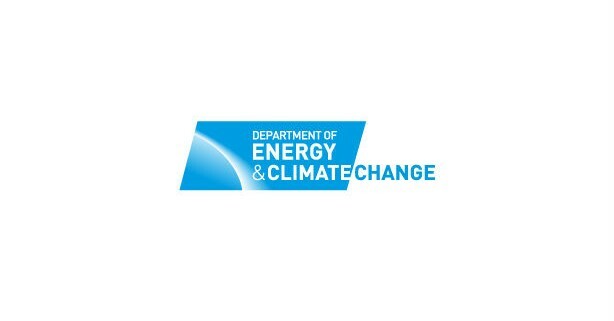 The organisation has an invaluable and key strategic role to play in representing and advocating for the bioenergy sector on the island of Ireland against a backdrop and dealing with challenges such as climate change, emissions reduction and the provision of more renewable energy sources into the future. In my role as CEO of IrBEA, I will work with all stakeholders to ensure a sustainable future in bioenergy and to strategically position bioenergy to play a significant role in Ireland’s Sustainability Renewable Energy Roadmap”. 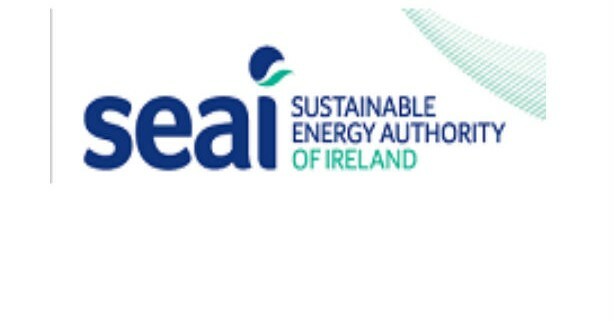 IrBEA reported earlier in the month that Sustainable Energy Authority of Ireland (SEAI) published the draft terms and conditions (including eligibility and sustainability criteria) for the Support Scheme Renewable Heat (SSRH). The Minister for Communications, Climate Action and Environment, Denis Naughten, T.D. has welcomed the publication and commented. The Support Scheme for Renewable Heat is a key measure to increase renewable energy in the heat sector and decrease emissions. The scheme will also create new commercial opportunities for Ireland’s bioenergy and renewable heat industries. 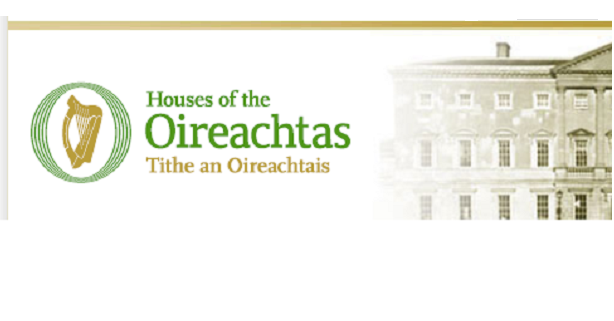 The draft Terms & Conditions are designed to ensure that the heat generated under the SSRH will be sustainable, applied for useful purposes and represent value for money for the taxpayer, said Minister Naughten. The Support Scheme for Renewable Heat will financially support the replacement of fossil fuel heating systems with renewable energy for non-domestic heat users. The scheme will consist of two types of support mechanism – an operational support for biomass and anaerobic digestion (AD) heating systems and an installation grant for heat pumps. IrBEA believes right now that the levels of support for biomass heating and for biogas appear unchanged from those indicated in December 2017. Furthermore, IrBEA understands from conversations with SEAI that SSRH will be available for all commercial applications – with no lower limit and that the budget for the scheme for biomass has been €18 million per annum for 15 years. Delegates and Exhibitors did hear an update from Ray Langton (SEAI Programme Manager of SSRH) this week at the Energy in Agriculture event, he confirmed that heat pumps will open for applications next month but they are still waiting for the state aid approval for the biomass side of the scheme and they hoped this will open before the end of the year. Ray talked through the application process which lined-up broadly into two categories, firstly online application procedures followed by inspections. Eligibility Criteria’s were discussed including eligibility of applicants, eligibility of heat, heat use in building, energy efficiency, heat technology, installation standards and project funding. He said all these criteria’s would be closely assessed in the application process before contracts were offered. Ray Langton commented that the SSRH scheme is going to help meet 2020 targets and help bridge the gap by increasing the renewable heat target by 3% getting closer to 16% target set by the EU Directive. He hopes that the main beneficiaries are commercial, industry, agriculture, district heating, public sector and agriculture. In a Q&A session he commented that any grandfathering terms (biomass installations already completed) will be determined by State Aid rules and they will only be able to accept applications after the date set by EU regulators. SEAI have now published draft Terms and Conditions for the Support Scheme for Renewable Heat. The levels of support for Biomass Heating and for biogas appear unchanged from those indicated in December last. SSRH will be available for all commercial applications – with no lower limit. The budget for the scheme is €18m per year for 15 years, the €18m budget is for biomass alone. It is planned that the online portal for applications will be open in September, this will allow people to become familiar with the requirements. The EU has upped the renewables target to 32% overall, and this gives plenty of incentive for progress in electricity, heat and transport, which is good. For the first time all solid biomass will have sustainability criteria requirements regardless of source, this will ensure the long-term viability and sustainability of biomass as a central renewable fuel. Also of note is the minimum greenhouse gas reduction requirements of 70% which will be applied from 2021 onwards, rising to 80% in 2026. The new regulations also set minimum efficiency levels for biomass power plants. The new transport sector sub-target for renewables is set at 14%, not a huge step-up from the current 2020 target of 10%. Double-counting will be allowed for advanced biofuels. This means one can use one litre of renewable fuel and count it as two. This means the target can be met numerically by achieving 7% renewables, with the consequence that another 7% of fossil derived liquid fuels need not be replaced in meeting the target – which you could argue defeats the purpose. As for the optional 7%, this is reserved for crop-based biofuels like ethanol and biodiesel from grain, beet and rapeseed. But a country cannot exceed the amount of this fuel that it was using in 2020, so if your country was at 4% crop-biofuels in 2020 it cannot go to 7% in 2030. This may be better than the European Commission’s intention of cutting such biofuels to 3.8% but it’s disappointing when one considers the potential for EU sourced crop biofuels to safely and effectively contribute to climate action while at the same time providing EU farmers with secure farm income, lots more GMO-free and antibiotic-free protein feed (by product of the biofuels) and long term investment in rural communities. IrBEA is committed to ensuring that all bioenergy and all renewable energy sources are fully sustainable, we recognize and fully support the need for proper controls around sustainability – however placing a cap in 2018 on a target in 2030 in a technology sector that is advancing rapidly can only serve to stifle the much needed innovations over the coming decades. The challenge of lowering carbon emissions is one of the greatest challenges of society today, policy measures must encourage innovation as an absolute priority. Digging into the targets set, if we take out double counting and optional contributions then the hard target for transport renewables is in actuality 3.5%, or less, which is no more than what Europe has today. Factor in the steady 1%-3% growth each year in transport and we end up with significant net increases in greenhouse gas emissions. One positive note, according to James Cogan of IrBEA’s transport team, is that palm oil diesel will be phased out by 2030 under the Directive. Palm diesel for the EU has resulted in many hundreds of thousands of hectares of peatland and forest being drained and burnt, sending vastly more CO2 and methane into the atmosphere than if the unknowing drivers had stuck to regular diesel. And palm diesel does no good for farmers, feed or Europe’s rural economies. Europe needs to improve its governance systems in the energy transition from fossil to renewables and the Directive is very light on this aspect. Lastly, and it may seem minor, but RED II was an opportunity lost for Europe to exclude countries which haven’t signed the Paris Climate Agreement from supplying energy into our transport markets, a measure which is good for climate action and good for Europe’s farmers and producers. Any means for rectifying this before the final text is delivered would be warmly welcomed. Understanding the key role played by solid bioenergy, EU negotiations on RED II opted for a constructive approach towards sustainability in the last round of trilogue negotiations. However, the compromise found fall short on creating a level playing for sustainability criteria. For the first time, European-wide sustainability criteria have been adopted for solid bioenergy. The European Biomass Association, AEBIOM, welcomes the risk-based approach, the 20 MW threshold and the criteria themselves. This approach ensures that biomass is produced sustainably, irrespective of its geographical origin, without creating unnecessary administrative burden on small installations and countries with a well-established system of forest management. “You will always find people to complain about the criteria. But for the first time the European legislators gives a sustainability roadmap to the solid bioenergy sector. Despite controversy, policy makers decided to take a challenging but pragmatic approach considering field realities.” explained Jean-Marc Jossart, AEBIOM Secretary-General. Bioenergy will need to meet 80% greenhouse gas emission savings as compared to fossil fuels in 2026. For electricity-only installations, only best-available technology will be able to get supports. To give a comprehensive overview on all new criteria, AEBIOM released a dedicated infographic today (see below). The compromise also recognises the role of co-firing allowing bioenergy to play a key role in energy transition while ensuring that biomass is not prolonging the life of old coal installations. AEBIOM has been one of the front-runners calling for the introduction of EU sustainability criteria as a way to ensure market confidence, while keeping an equal level-playing field for the sector. In this context, we regret to see that Member States will be able to adopt additional national criteria. We hope that we do not end up with 28 different systems after such a constructive effort achieved at European level. 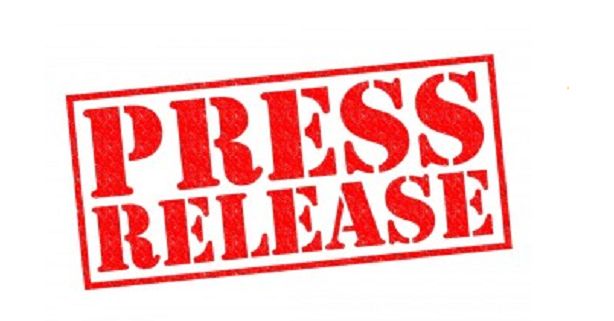 The Irish Bioenergy Association (IrBEA) welcomes the Government’s announcement that the biofuels obligation rate will increase from 8% to 10% from January 1st 2019. The decision was taken this week by Minister for Communications, Climate Action and Environment, Denis Naughten. IrBEA responded to the open consultation on the BOS in January 2018 recommending and supporting the proposed increase. The International Energy Agency (IEA) forecasts that biofuels will need to make up a third of the world’s total transport energy by 2050 if the Paris climate targets are to be met, making them as important as electromobility and efficiency in decarbonising transport the transport sector. 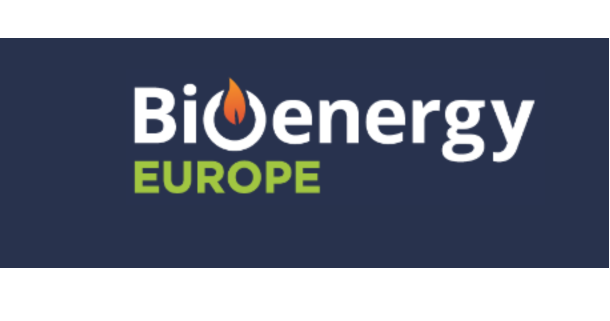 IrBEA supports sustainably produced EU biofuels with low iLUC impacts such as conventional bioethanol and biodiesel (the main biofuels used in Ireland today). Sustainably produced biofuels are an important part of the global bioeconomy revolution. As a world leader in agriculture, Ireland is ideally positioned to benefit from growth in the bioeconomy. The Irish government should continue to implement policies – such as the biofuels obligation – that support the sector. James Cogan (EERL) is a corporate member of IrBEA has recently had a number of meetings with ministers and department officials. Ethanol Europe is an Irish firm that operating an ethanol production facility Pannonia, Hungary . His article in Agriland discusses the status of the Biofuels industry in Europe and Ireland and what issues need to be overcome for the sector to grow, he is concerned that the Irish Government is supporting moves that minimise the use of biofuels at EU level. Currently Ireland produces 17.5% of the biofuels that are used domestically; however, it is all derived from used cooking oil and animal fat. No Irish farmers are producing biofuels at present. At the EU level however 33% of biofuels – and all of the ethanol that goes to improving climate performance in petrol cars – comes from wheat, maize and beet produced by European farmers. Cogan insists that domestic tillage crop biofuels will dominate the market in the future as they are truly safe and effective as climate solutions. Currently the sector buys €7 billion worth of tillage crops each year (equivalent to 12% of CAP) and gives back 17 million tonnes of GMO-free protein feed; plus, 220,000 jobs in rural areas and a flourishing bio-economy. IrBEA along with other representatives from the Bioenergy Sector were invited to a meeting of the Joint Committee on Communications, Climate Action and Environment, Tuesday 27 February 2018, Webcast Recording. CR2, LH 2000 3.00 p.m. See also the Official Report. Agenda: (i) Scrutiny of EU Legislative Proposals: Schedule B: COM(2016)52; COM(2017)51.